Oh my goodness, I have to start by saying this is one of the coolest toys ever. Not the simplest to build, but so much fun and truly awesome. So what is it? It’s the Meccano MicroNoid Robot, yes Robot. Gone are the days of Meccano from the 80’s where you could build a wee bridge if you has the patience, Meccano now, knows no limits. 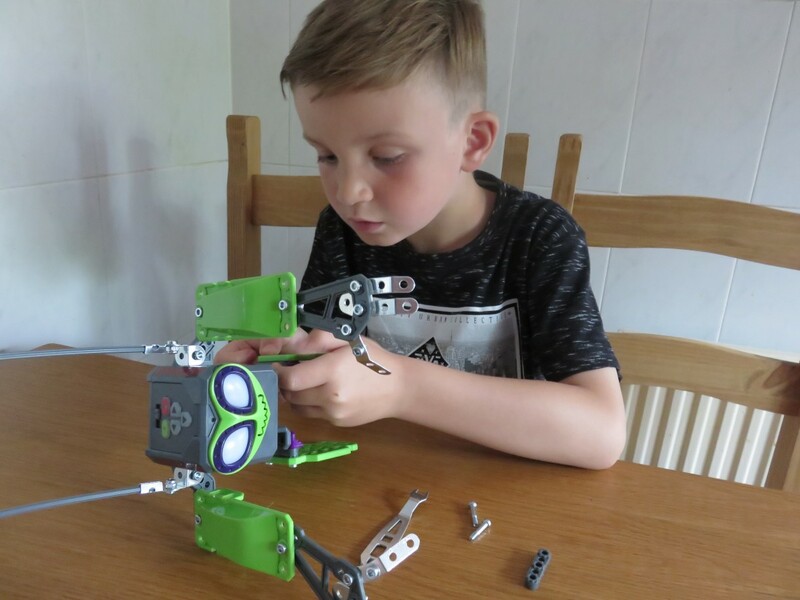 The MicroNoid Robot, allows you to build your own personal robot with this Meccano MicroNoid set. 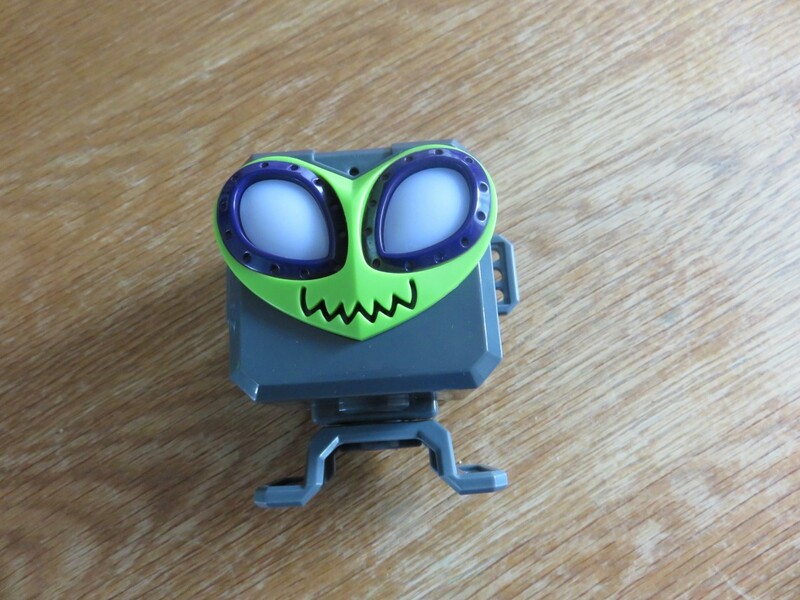 The one we reviewed was Meccano MicroNoid Green Switch Robot. There are three different ones to chose from. The MicroNoid is small, but a good size to be played with. Building this, allows you to see how the robot is made from the mechanics up. There are a total of 139 pieces to put together to complete, but the instructions are simple and well laid out in an instruction booklet. There are pictures and the screws have exact size pictures, so you can measure them before putting the wrong one in the wrong place. I thought this was genius idea, especially since there were a few which look similar. There are two hand tools to help you build with the nuts and bolts. The MicroNoid is made for ages 8 and up. My boys are 7 1/2 and 9 1/2. A good starting age. I did have to help with quite a few bits, it was tricky to get the arms and fingers screwed on and hold them in place. It was a great toy to build and play with together. It did take us over an hour to build, but don’t let that put you off, building is a lot of fun and once he’s built he is sturdy and will be played with for hours on end. Don’t forget to get batteries, like I did, he takes 4 AAA, but they seem to be lasting well considering how often he’s been played with. Once he’s built and the batteries are in, he’s ready to play. 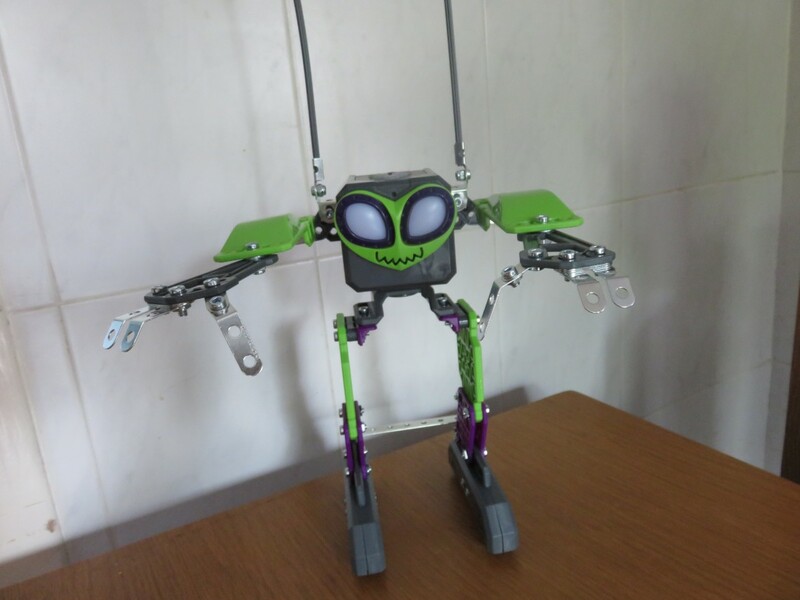 The Meccano MicroNoid can walk, turn, dance and push it’s way through obstacles. You can even program the way you want your little robot friend to go through the push button programs. There is a record and playback button on Switch’s head. This was a lot of fun recording messages and programming him to say them back in his little robot voices. Very cute. What I like about these is that you can grow your collection of MicroNoids because they interact with each other or dance to a synchronised routine. There are three Meccano Maker Systems to collect; Switch, Socket and Basher. This is now added to the boys Christmas list. One top of the programmable moves, the MicroNoid has three other settings that you can chose. One of my favourite robot motions is music, when you put on some music and he dances along with the beat. He’s got some pretty cool moves, as you’ll see in the our video below. 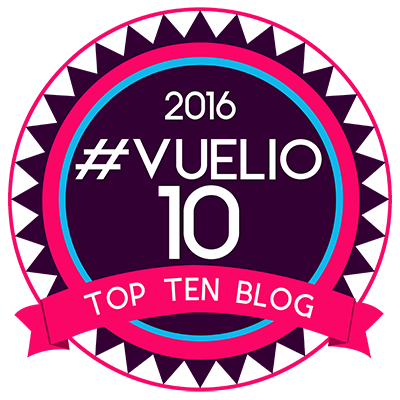 The boys favourite is 8-Ball mode. This can cause no end of laughter. Ask Switch various yes and no questions and he will answer honestly, yes or no, whether you want to hear it or not. But you can ask him over and over again until you get the one you want, a bit like when you asked the 8-ball back in the 80s and didn’t get the answer you wanted, you could always shake again. Cheating I know! The boys loved asking things like “Do you like pizza?” “Do you like Daddy? or Tyler or Lucas?” Ending in hilarity if he said no. Apparently he likes to be called ‘Bob’. The third selection is autonomous mode, this is when your MicroNoid will do things on his own like fart, giggle, sing, dance and many more random actions. 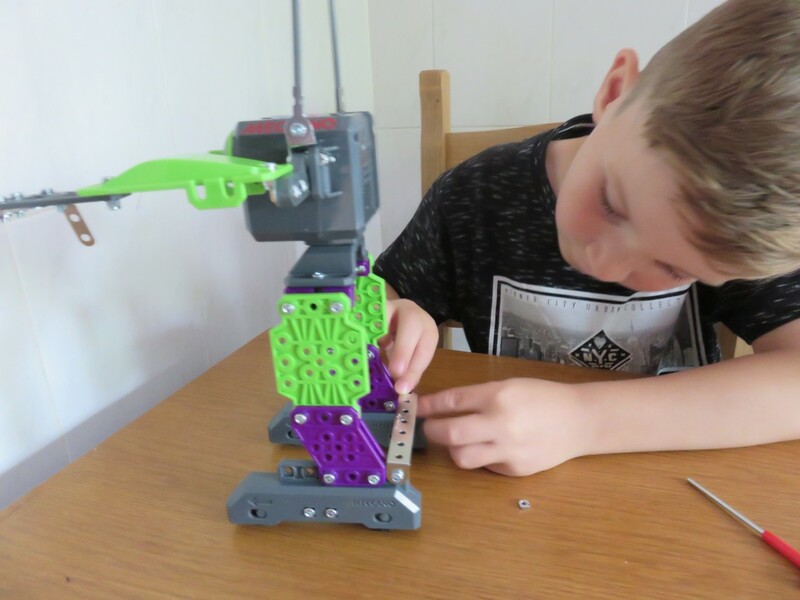 Watch our video on building and playing with our Meccano MicroNoid Robot Switch. Let us know what you think. We love, love, love this awesome robot. It helps children with their dexterity to build, focus and patience to achieve something that is fun to play with and learn to program your very own robot friend. We are just beginning to find out all of Robot Switch’s skills, but the boys are learning more each day about how to program him to ask for a hug and moves. There are so many possibilities and the whole family is loving him, even the kitten is coming round to him. I was a bit worried about how sturdy he would be and wanted the boys to be careful with him at first, but after a few plays, I realised he is well made, designed and no fragile in the slightest. He hasn’t broken and all bits are intact. 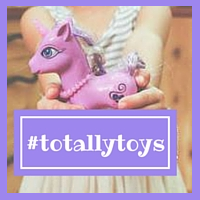 This is a toy that will last for years and even as they get older, they can do more complicated programming. 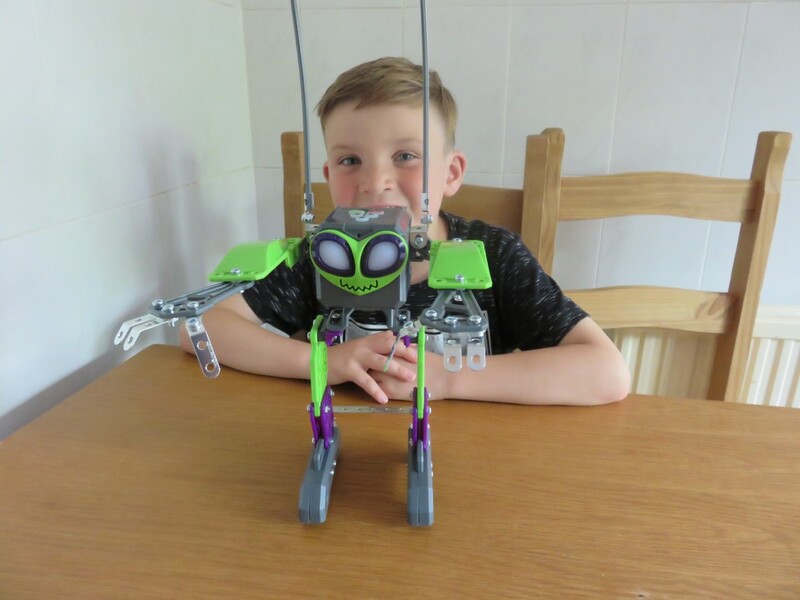 I would highly recommend the Meccano MicroNoid for all children interested in building toys, robots, coding or looking for a challenge. This will keep them occupied for hours. It is fun and educational, what more could you ask for? MicroNoid is your new robot best friend! I think these are great value for money at £50 each. You get a lot for your money and the toys are thought out and well designed. We have had so much fun and the boys would like another for Christmas. There are 3 different Meccano Micronoids which will be available soon in the UK – Basher, Socket And Switch by Spinmaster. You can see a review of Basher MicroNoid by The Brick Castle and you can see ET Speaks From Home’s review of Socket Micronoid. 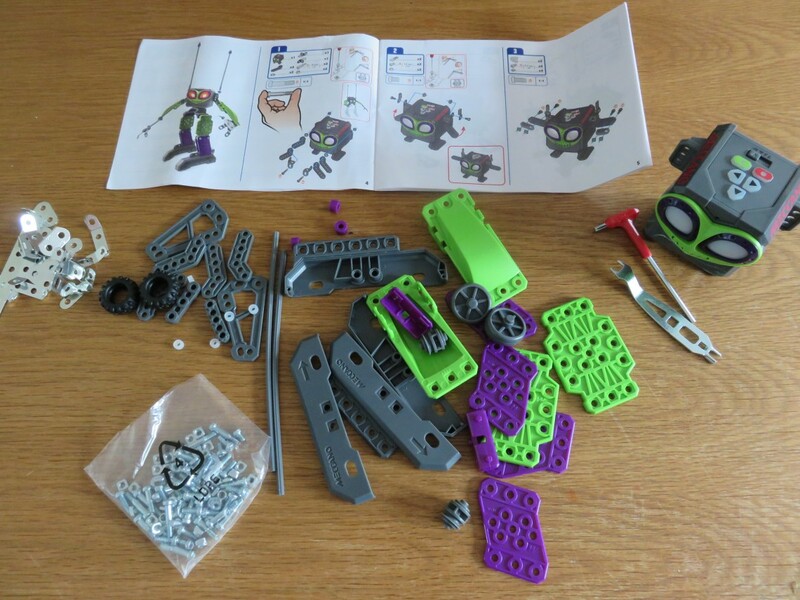 Disclaimer:- We were sent our Meccano Micronoid for review, but all thoughts and opinions are my own. We LOVE this. Yes, they are quick tricky to put together but it is all great fun! Thanks for linking my post too! Can he easily walk – dance on carpet. Im getting this for my son , was wondering the quality of the product he wants one of the irobots but think we are gonna start with a cheaper on to see how he takes care of it.